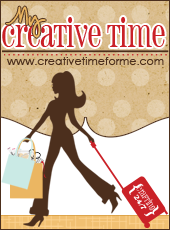 Welcome to the Four legged friends blog hop!! Hosted by Mr. Cricut Crazy. 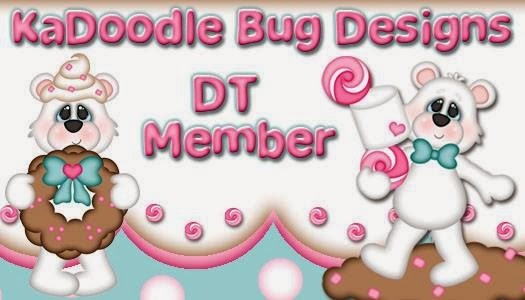 If you arrived here from Sherri’s blog you are at the right spot if not, you might want to start off at the beginning. 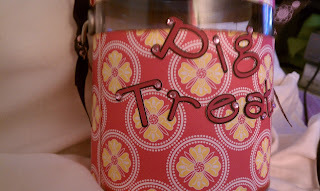 I used a pre made bucket I found at my local craft store. It is the medium size. 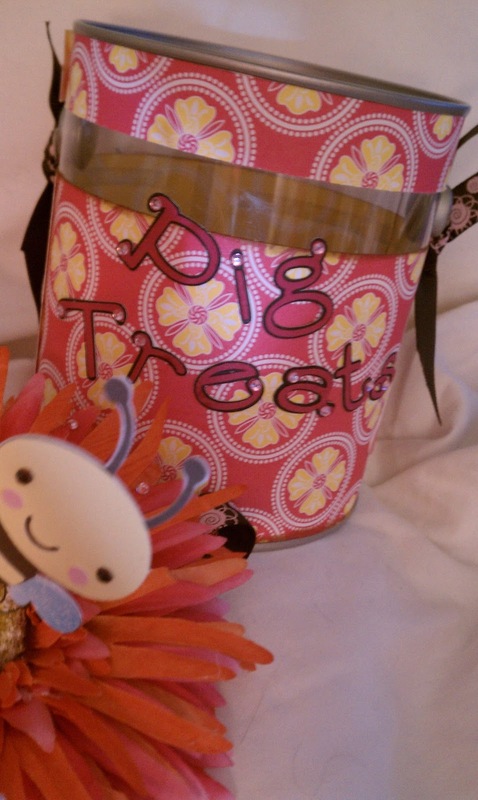 To attach the paper to the bucket I used crafty power tape. The paper is from Cosmo Cricket 2009, I think it’s called now that’s a good thing. I cut out the bee using my imagine and the blossom cartridge, and create a critter. 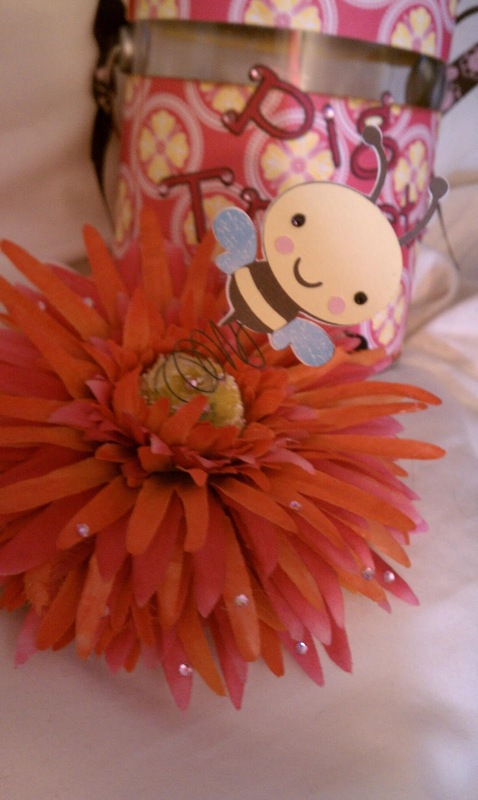 The bee is cut out at 2 inches, I also cut one as flip mode so it had a back to hid the spring. 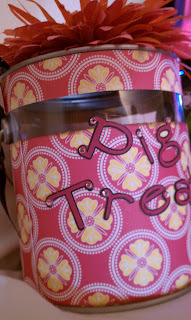 I used tear drop cricut cartridge, the regular font and the shadow feature at 1 inch to cut out pig treats. I used black for the shadow and a dark pink for the letters. For each tear drop on the font I placed a rhinestone. I cut out a mushroom from create a critter at 2.5 inches, but with out the face as well. 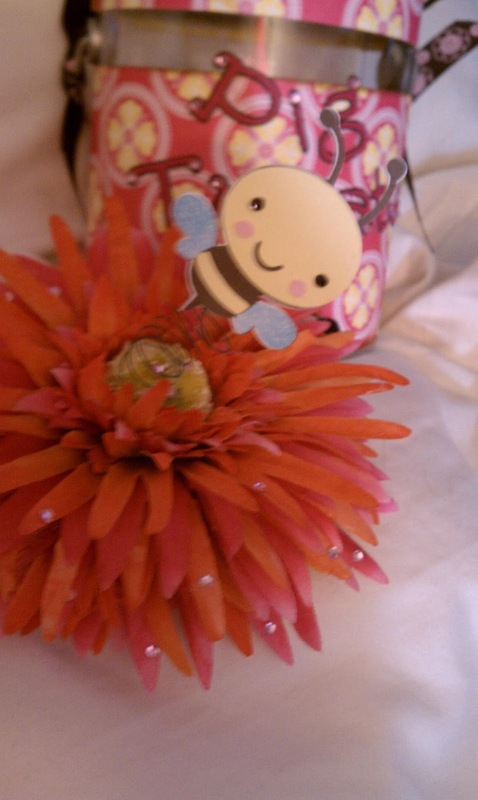 I also placed random rhinestones on the flower to look like dew drops. Finished with ribbon on the handle just tied in a knot. As well as two glued to the bottom of the lid to make it easier to lift the lid. Treats will have to be in a plastic bag to stay fresh. Your guinea pigs sound like they are spoiled:) I had several guinea pigs over the years, I loved them, now I just have chinchillas a cat and a bird and a dog. Thanks for sharing. I love it. 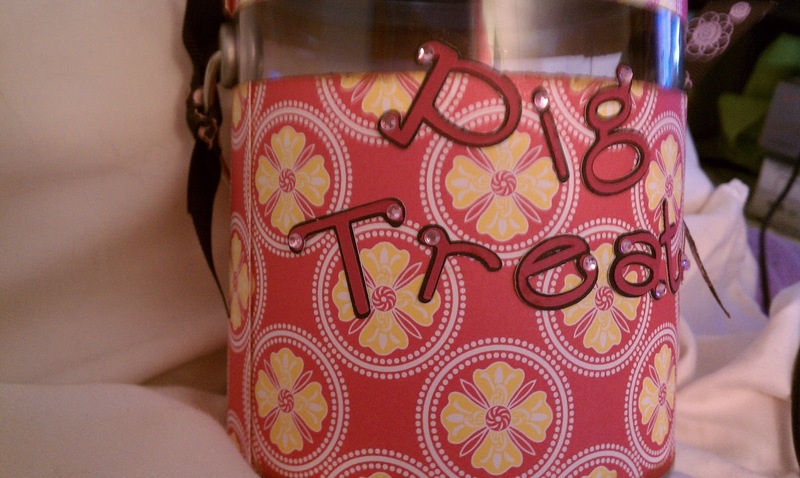 Very cute treat bucket. Thanks for sharing. I love guinea pigs, and how they whistle, so cute. Great job on making your piggy a treat container. Very cute! 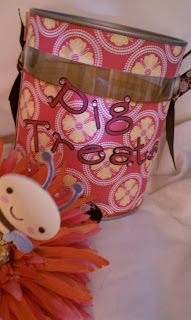 Your piggies are surely spoiled :) My favorite part is the bee on the spring! By doing that it really makes it come to life. I also like the rhinestones on the flower petals for the dew drops.